In this day and age, entrepreneurship requires a lot of time, skills, and efforts. And once you finally set up a company from the ground up, you would hate to see it surrounded by controversy or legal issues, wouldn’t you? Unfortunately, legal issues are quite common in the corporate sector. Slander, Malpractices, Patent infringement, stock trading irregularities, all sorts of controversial activities can surround your business and bottleneck your success, depending on the type of business you operate. Thankfully, where perils like these exist, there also exists the blessing of litigation attorneys. Business litigation attorneys are specialized professionals who are well-versed in all the laws of the state, the business, and the industry, and can definitely get you out of a jam if you are stuck in one. So what are the benefits of having a business litigation attorney for your business? Let’s find out. Having a quality team of business litigation attorneys not only helps to keep you in line and within the guidelines of state laws, but it also helps to keep you protected against external threats. Lawsuits like patent infringement, malpractice, and espionage, are the norm in the corporate sector, but if you have a team of business litigation attorneys, you can rest easy knowing that you have a layer of protection. Whether you are starting from scratch or pivoting to a new business model, a team of business litigation attorneys can help you develop bylaws for your firm. These bylaws may include, rights of ownership, name on the wall, hiring and firing policies, compensation and benefits and so on. These attorneys can also help you stay in touch with your local and national tax laws, so you feel protected from all sides. If you are running a business and face a legal conundrum, who would you rather have defending you? A community lawyer or an attorney who is well-versed, not just with the state laws, but also with your business, you, and your practices. Business litigation attorneys are masters of one thing and one thing only, keeping people off your business and helping you concentrate on stuff that truly matters. 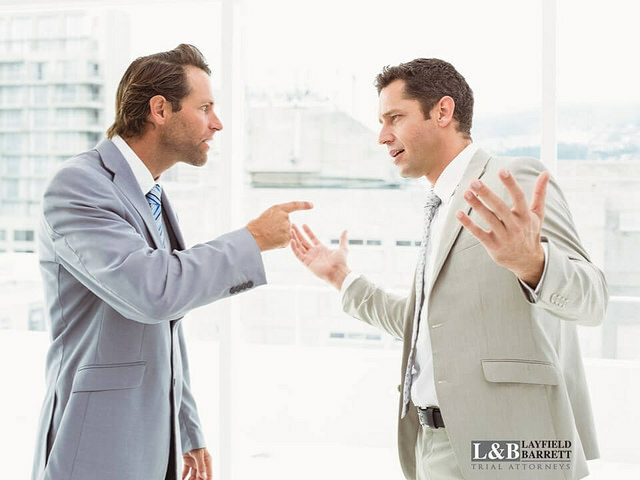 It doesn’t matter if you are accusing another business of malpractice, or are on the receiving end on one yourself, a quality team of business litigation attorneys help you decide whether you should take this matter to court, or settle out of it. Bear in mind that sometimes, settling an argument outside the courtroom can be beneficial for you and your firm, both – financially and reputation-wise. It is what business litigation attorneys do, help you realize what’s the better way out of a legal snafu. Throughout the course of your business operation, you can find yourself facing legal issues that only a business litigation attorney can help you solve. That’s because these litigation attorneys are quite versatile and work with a range of legal issues that can plague the development and growth of your business venture.